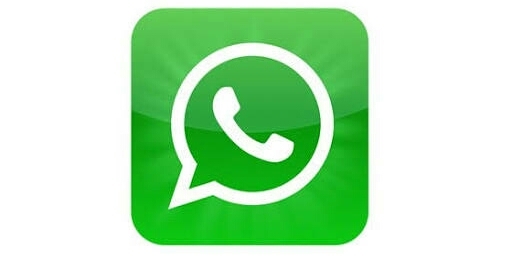 WhatsApp is must have app on any mobile device, may it Apple, Android, Windows or our own Tizen OS. Everybody wants it on thier smartphone. The best part is Tizen has its own WhatsApp Messenger app – created by official Facebook developers. It has been in the store since 2015, still enjoying hot spot into app ranking. All Tizen users want to download this social sharing app on their smartphones, the problem is not all customers know how to do it. Many Tizen customers comes from feature phones, as Tizen is their first smartphone, basically don’t know how to download or install new apps. my whatsup stopped to open or send images, audios and videos as it used to do since 23 Jun 2018. Please help me I’m not enjoying this phone. in my mobile not download whatsaap please i trying all option please help . Bought this phone after i got mugged my old phone but now the whatsapp app is sooo boring . A person cant even upload a simple timeline status or videos . Can not even recommend someone to buy a Sumsung Z2. This whatsapp needs a upgrade and quick because you guys will loose customers . This *TIZEN* OS, is just simply, i bought this phone because of the belief i have for SAMSUNG and now i find my business suffering daily due to outdated WHATSAPP, if SAMSUNG founded or invested in this of an OS, i as a customer am very disappointed as there’s too many individuals all over the world who would deliver a good product than what you have developed or bought as an investment…..
Hi, my father’s tizen phone can’t update whatsapp or open it. It always pop up notification wrong date. When will tizen store update their whatsapp? ummmm guys this phones are rubbish we waistedd our money to buy these kinds. now im tired with it. Please urgent whatsapp and share it is very useful to us please help me. This thing so called tizen its boring us….how can we buy smartphones which does have watsapp nd also does not install apps from other source…?you guys robed us with this model…this aint samsung i dnt knw wht should we call this thing…we jc waisted our money on buying this phone…. I try to download whatsapp on my z2 but nothing happened i’m tired now it’s been a year now keep on trying it’s like i throwned my money buying this toy. I had downloaded whats app in my samsung Z2 phone. mine not downloading keeps on saying services not available in this country.what should l do? How did u install ur whatsapp? No what’s app updates … Kaise kre new what’s app version download ..
Update for Facebook & WhatsApp will come soon. For SHAREit & Vidmate you have to wait a little longer. Make sure you have enough empty space and try it again.